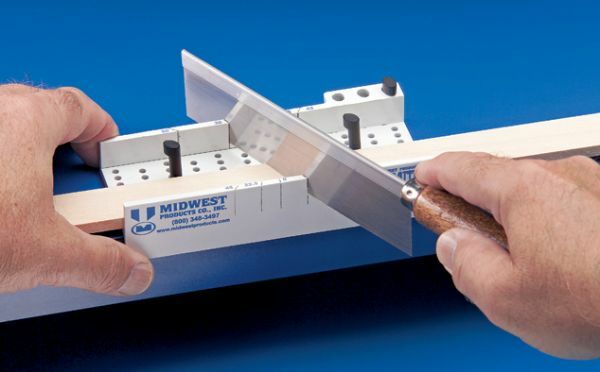 Molded miter box with 22½° 30° 45° and 90° angle cuts. * Designed for cutting stock up to 1/2" thick and up to 2" wide. * Three clamps hold material securely in place while cutting. * Includes Zona razor saw and thin .010 blade for finer cuts. 14" x 4" x 1.5"